This isn’t airplane food! With a fly and dine experience, Adrenaline sends you soaring above some of this nation’s most lush landscapes and vibrant waterways. Take in the scenery from the clouds and build up an appetite. These flights take you directly to mouth-watering restaurants with modern eats and delectable seafood dishes. Part food tour, part seaplane flight, these getaways guarantee to woo your better half! Different flights for different appetites are featured throughout Sydney. They all take off from the shores of Rose bay but lead you to distinct destinations with signature flavours. 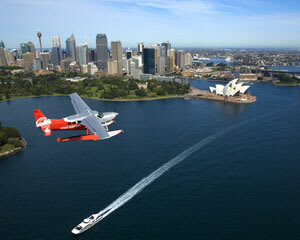 The scenery is jaw dropping with bird’s eye views of the Sydney Opera House and Sydney Harbour Bridge. 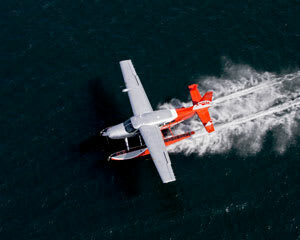 Take in the natural sprawls, snap a few photos and simply kick back in style on these private seaplane flights. 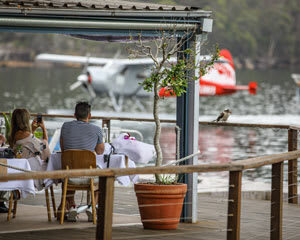 Touch down by the celebrated Cottage Point Inn Restaurant, a waterfront institution situated in Ku-Ring-Gai National Park. Here, the dishes excite with timeless Australian classics reimagined with modern flair. Or, your gourmet seaplane flight can take you to Jonah’s, a restaurant situated at a clifftop retreat that overlooks the Pacific. The three courses you’ll dine on are as exceptional and refreshing as the views! 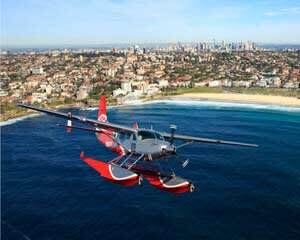 For something a little more intimate, we also offer gourmet seaplane flights that fly you to a secluded beach where you’ll dine on a gourmet picnic. This particular food tour is a popular choice among those ready to pop the question. Jet-setter dining on a secluded island—how could she say no? Aviation enthusiasts will love our King Island gourmet flight. 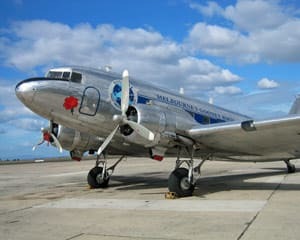 This dining tour takes off in a classic DC3 (the real thing; not a replica)! The 1940s style transportation will have you feeling like Golden Age Hollywood royalty setting off to some big adventure. You’ll depart from Melbourne and travel to Tasmania’s King Island at low altitudes for perfect sightseeing opportunities. Upon arrival, you’ll be greeted with a glass of Champagne and then head to a gourmet buffet prepared with all local fare. This one experience whisks you away to another time and another place! Whether you’re hungry for romance or adventure, these fly and dine experience have all the right goodies to keep you satiated. Take a look at this first-class experiences and book your gourmet tour today!